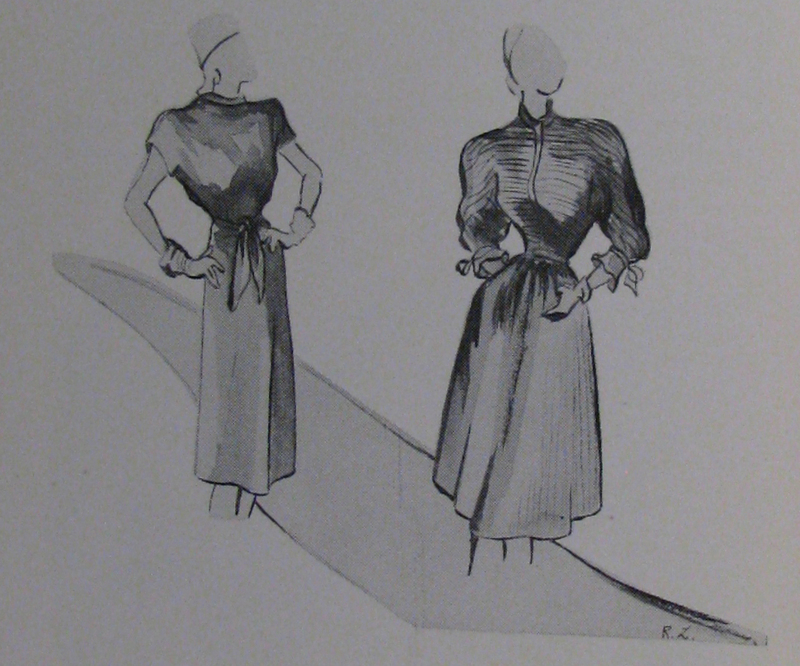 Rounded shoulders, fuller skirts, nipped-in waistlines and high-climbing throat-lines . . . these are the new silhouettes to look for. Consider these highlights when shopping, but don’t be a slave to the mode if it’s wrong for you. From the booklet “Back to Civvies,” held by the The Betty H. Carter Women Veterans Historical Project at the University of North Carolina Greensboro.